Apple has three new jobs postings listed on its website which all are positions involving the data center the company is constructing in Prineville, Oregon. Two of the positions are for a Data Center Maintenance Technicians, along with a Data Center Chief Engineer, a position the company has been trying to fill since early 2013. The Data Center Chief Engineer would be responsible for overseeing, testing, and monitoring the data center. The Data Center Maintenance Technicians would identify and repair any issues that arise. 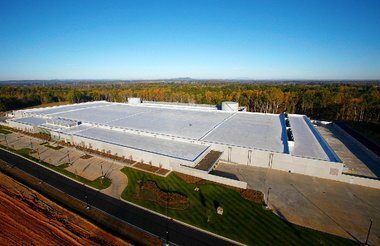 Apple’s data center began construction in October 2012 and will be 338,000 square-feet. With the new hirings and the rumour that a solar farm will be coming to the site, the data center may be closer to completion than we initially expected. In a recent statement by Betty Rope, Mayor of Prineville, Apple is planning to add a solar farm to the site. Apple has committed to running all of its data centers with 100% renewable green energy. In Maiden, North Carolina Apple has two operational solar farms that provide 42 million kWh of clean and renewable energy. Apple has stated that its data center in Oregon will be just as environmentally friendly as the one in Maiden. The solar farm in Maiden consists of 50,000 panels on 100 acres of land providing the company with 40MW of energy with another 10MW coming from fuel cells. 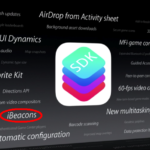 In September 2013, Apple looked into purchasing 96 acres of land in Oregon, which could be the home of its reported solar farm.